A few years ago, an otolaryngologist from a children’s hospital in another state called in a panic to ask me if they could send a 3-year-old boy to me by helicopter (they had heard that I was a “sinus guy”). They described a very ill little boy with high fevers, who had been chronically ill with sinusitis. After I asked about the little boy’s medical history, I asked what they had already tried. The answer was “3 months of antibiotics.” He did not have any complications from his sinusitis (yet), such as meningtis or abscess. So, what do you think that I recommended? Right – nasal saline rinses. I suggested that they begin nasal saline rinses, twice per day, immediately. They were very skeptical. After all, how could a little saline rinsing accomplish what months of antibiotics (including in-patient intravenous antibiotics) could not? They wanted to fly him to me by helicopter. They wanted me to operate on him immediately. Seriously. Thinking that a medical helicopter transport would be a bit of an overreaction, I was firm, telling them that his fevers should decrease over the next 48 hours once they started the sinus rinses. I suggested that if he continued to have fevers, or any complications from his sinusitis, they could transfer his care to our hospital. The following is a series of CT scan images (axial orientation, looking up at the sinuses from below, from the neck), taken one week apart. The first is the little boy’s CT scan before beginning sinus saline irrigations. His sinuses – all of them – were completely full. “Pansinusitis”. Some instructions on reading sinus CT scans: black is air; white is bone; gray is “soft tissue,” or everything else – brain, eyeball, cheek tissue, thickened sinus lining, or snot. The two orange arrows point to the maxillary sinuses. Instead of being full of air (black) like normal, they are full of gray – something else: snot, thickened lining, polyp, it is uncertain. They began the nasal saline rinses. As predicted, the little boy’s fevers stopped over the next 24 hours. When I called to check up on him, the doctors there were amazed that such a simple remedy was doing what 3 months of antibiotics had not. They reported that the little guy was feeling much better. This second CT scan was taken one week after starting sinus rinses. The bright orange arrow points to a maxillary sinus with an central area of black – air! Whoohoo! Air is what should be there. There is still a thick gray area surrounding that black, likely residual thickening of the sinus lining. That concentric, all the way around, thickening is typical for chronic inflammation. That was consistent with his history of chronic sinusitis. After only one week of sinus rinses the sinuses are open, now getting air into them – pneumatization! that’s a good thing. I recommended that they reduce the sinus rinses from twice per day to one per day. This third CT scan was taken two weeks after starting sinus rinses. The two bright orange arrows point to the black area (air) in both maxillary sinuses. The central area of air is larger than previously, and the surrounding area of gray (thickened sinus lining) is thinner. Both good signs of decreasing inflammation in the sinuses. This fourth CT scan was taken 3 weeks after starting sinus rinses. The arrows point to normal-appearing maxillary sinuses, with very thin gray lining tissue surrounding the air within the maxillary sinus. The final image here (#5) was from the same CT scan, from a little higher up, where the arrows point to the ethmoid sinuses, that were also clear of infection by the third week of saline sinus rinses. Success, with just a little saline. When I spoke with the parents of this little boy they reported that doing his sinus rinses was like “a wrestling match” for the first 4 or 5 days. They said that, so he didn’t get hurt during the process, it had required both parents to hold him still while rinsing his nose. They were amazed when, by about the 5th day, he stopped struggling and accepted the daily sinus rinses. They had concluded that he accepted them because he was feeling so much better. Both the boy’s parents and his physicians were (understandably) very anxious that his sinusitis would recur. Who could blame them? He had been very ill, with multiple hospitalizations during his first 2-3 years of life. They asked if there were anything else that could be done to optimize his chances of remaining disease-free. I replied that, in addition to once-per-day sinus rinses, they might consider adenoidectomy – removing his adenoid tissue. This is a (relatively) low-risk surgical procedure that has the potential to provide huge benefits. Considering that he also had asthma, I did recommend an adenoidectomy. Adenoid tissue can be a reservoir for bacteria and viruses, and chronic adenoiditis will often be a trigger source for asthma. Following his adenoidectomy, the parents reported that he was mostly weaned from his sinus rinses. He has since been allergy-tested, but the results were disappointingly negative. Allergy tests revealed only some minor reactions to molds. They told me that he still does sinus rinses for a couple months every Spring and every Fall, during the mold seasons, to prevent a recurrence of sinusitis. When his sinusitis did recur, they were able to limit his symptoms using sinus rinses. He has not been hospitalized again since. Simple saline nasal rinses are THE most effective remedy for sinusitis. Saline rinses are an excellent home remedy for allergic rhinitis, too. Thanks for visiting. See you right here over the next month as we review sinus anatomy, histology, and physiology, as well as things that you can do to make sinus rinses easier and more effective. Best health and success to you and your families. I am in this same situation with my 5 year old. We have tried nose sprays, steroids, antibiotics and NOTHING is helping. All 6 of his sinuses are closed. We have had full immune work up and allergy testing. I was told that saline rinse wouldn’t work due to his sinuses being swollen shut? Did your sons sinuses have infection in them? Or inflammation? I’m so scared of the surgery and willing to try anything at this point. Isotonic saline rinses are helpful, if only because they help rinse away the offending agents from the nasal passages – whether bacteria, viruses, mold spores, pollutants and irritants, allergens, etc. Then, as the chronic inflammation subsides, access to the sinuses increases and the rinses help clear the sinuses, too. Whenever anyone is advising surgery and you’re worried, it’s time for another opinion. And maybe another after that! And, if there has been a CT scan done (I assume that there was a CT scan if someone is telling you about the condition of sinuses), they can also tell you whether there is “adenoid hypertrophy.” If the adenoids are large, the first surgery to consider is adenoidectomy, for a child with opacified sinuses, NOT “sinus surgery.” In my opinion. I have terrible allergies and I have “cyst” in the left side of my “face” – as the doc described. Everyday I wake up with horrible ear pressure, headaches and it is difficult to breath out of my nose – when I look in my nose I see these ball things. But some days they aren’t there. It is like they swell when my allergies are really bad. I also get sinus infections about 2x a year. Anyway, I was wondering if it would help me to do saline rinses 1-2 times a day and see if it helps me. Also, is it ok to use regular table salt to make your saline solution? And if so how much salt to water should I be using. You should consider visiting an allergist or ENT doc to confirm that nothing more serious than allergies are going on. To answer your question with a question: why NOT try doing saline nasal rinses once per day to see whether that helps? It won’t make things any worse, and has a good chance of “curing” the problem. Don’t use regular table salt. Try Kosher or pickling/canning salt – no additives. Check out the 4-part series on this blog for details on saline nasal rinses. Here is the last in the series: http://wp.me/pR4iB-7K. Thanks for visiting, and thanks for contacting me. Please get back to us and let us know how things go, or if you have further questions. Sinus Rinse is the Best remedy. I live in india and its hard to find a Nasal irrigation device. SO I order that from Neilmed website. I will update you after using it. Dont buy Neti Pot. Instead But Neilmed Sinus Rinse. Also you can see videos of Sinus wash on youtube to get an idea what its like to play with saline. I have nothing against the Neti pot: I simply don’t like contorting my head and neck in order to get the flow right. As you may know, I prefer the squeeze-bottle from Nasopure. The company that makes Neilmed has been accused of abusive, “unfair labor practices” a couple years ago; since then, they have worked hard to change their image / brand (for example, they donated some of their product to U.S. troops). Regardless, my preference is to support “the little guy,” and to buy local – that means Nasopure, which is literally a “mom-and-pop” operation. It is run by Dr. Hana Solomon and her husband. Thanks for visiting, and especially for taking time to share! Another great ending to a potentially serious medical condition, with a simple solution to sinusitis. Now we have to teach parents how to teach the child how to wash. In my pediatric practice, i found children will learn by 24 months of age. The secret? Teach the parents how to wash their own nasal passages, then it is a simple ‘learn by example’. Once the parents can experience the comfortable, simple and soothing process, they are excited to share the with the child. If the parents have not experienced the nose wash there is often an underlying attitude of ‘got to do this to you, kid but only cause we love you’. There is an assumption the process of washing may be painful, uncomfortable, fear of drowning etc. I always suggest that parent wash prior to introducing the idea to the child. This has never failed my patients. have to wait until tomorrow. Note that if you use “isotonic” saline, and gently rinse your nose, you can do it several times per day without injury. Dear Dr, just for some clarification: if we use isotonic saline, we can do it several times a day for baby under 1 year old as well? As for the saline rinse once or twice a day (when dealing with infection), you are referring to the hypertonic saline, correct? For infants younger than 1 year, they have not yet developed true paranasal sinuses. They can benefit from simple isotonic nasal saline spray to help rinse the nose out. But I am not recommending saline irrigations for infants who do not have severe infection – it’s simply not indicated, and may do more harm than good. Hypertonic saline is indicated only for someone with severe acute or chronic infection. Hypertonic saline helps decrease swelling, potentially a benfit; but using hypertonic saline is also more irritating to the cilia, potentially a negative effect if used for more than a short time. Thanks so much for visiting, and for sharing! Best success. Dr. Faust, can sinus issues affect hearing? My hearing quality comes and goes throughout the day, varying dramatically based on strangely simple things, like swallowing, yawning, sniffling — even the simple act of breathing in or out through my nose noticeably affects my ability to hear others. And, if sinus issues can cause or exascerbate hearing loss, can sinus rinsing alone fix the problem? thanks. Thanks for visiting, and for contributing to our community by leaving a comment! Great question. Annoying symptom. Check out posts on this blog regarding nasal and sinus anatomy, and how the nose, sinuses, and Eustachian tubes are related anatomically. You are describing Eustachian tube dysfunction – when he Eustachian tubes don’t work properly it can be difficult to equalize the pressure across the ear drum. If the ear drum isn’t in a “neutral” position, if there is any tension on it either inward or outward – as can happen with swallowing, yawning, sniffling – hearing will be temporarily “stuffy” sounding. My best recommendation for you is to see a good ENT doc. They will thoroughly check you out to be certain you don’t have some scary tumor growing back there blocking your Eustachian tube (very unlikely, don’t be scared, just do it), and can help you cure the problem. Note that anything that causes inflammation of the nose, sinuses, and Eustachian tubes, can worsen the problem. No smoking! You may have allergies contributing to the problem. You may have reflux contributing to the problem (there is an article on this blog about reflux and ear infections, but reflux can also cause the symptoms that you are describing). So: get checked out. And PLEASE: get back to us with an update so we can all learn from your experience. Thanks for the info! I’m doing the 240ml nealmed sinus rinse once daily right now, which is what got me thinking that there’s a connection between that and my hearing because the sinus rinse often causes a temporary, positive change in my hearing, especially higher frequencies. I really like both the NeilMed and the Naspure products for saline nasal rinsing. Your observation is correct – optimal nasal hygiene CAN help to correct Eustachian tube dysfunction. Your next challenge is to figure out whether the source of inflammation is allergies, reflux, exposure to chemical irritants in your environment, food intolerance, etc. THAT can be a challenge! I hope this site can help you find the answers. As you find them, please continue to keep us all informed. I suggest trying a hypertonic buffered solution with a higher sodium chloride concentration…..and use less volume of solution with each washing. I think the ears will thank you. My 3 yo little boy is now on his second course of antibiotics – first tried Augmentin and now on Cefdinir. He’s had a cough that clears up with the antibiotics but returns about 2-3 weeks later. His lungs are always clear but his sinus x-ray in early November showed his sinuses were opacified. His cough returned last weekend so we’re now on day 3 of his antibiotic course. We started Flonase with the first course and when his cough returned I added the Simply Saline rinse once a day before doing his Flonase. He is, fortunately, comfortable and fever-free but continues with an occasional cough. Once he finishes this course of antibiotics how can we know the infection has cleared? Should we ask for another x-ray or simply go with symptoms? I trust our docs and they’ve done a great job – I found your post/blog because they mentioned doing a sinus CT if after this course his cough returned again. Thanks so much for your kind comments, and for sharing. In my own practice, I try to let the clinical symptoms and my exam guide my management of my patients. I am always reluctant to go to the CT scan (although I do it often enough), only because that step seems to lead down the road toward surgery, and I feel that my patient’s symptoms and clinical picture should be the more important guide for the surgery decision. I will say that, among pediatric boogor docs (ENT’s), chronic and recurrent sinusitis in toddlers and young children is often treated as though it has a component of reflux (gastro-esophageal reflux) as a cause. The majority of these children will improve on a reflux regimen, in addition to remedies that reduce rhinitis and sinusitis. The same is true for chronic otitis (ear infections). Please take a look at this blog site, search “unified airway” and “reflux,” and take a look at those articles. Please let me know if those help, and please visit again and let us know how it is going! This is the perfect scenario when a ideal WASH can make a world of difference. I am so glad to have stumbled upon your blog. I have a 3 year old girl who has been having sinus infection for the last 3 months, (from end of october 2011). She had greenish yellow mucus most of the time. In the beginning of october, she had put some rice granules and foreign particles in her nose, and they got inflammed and started to have running nose, and ped gave her nasonex for a couple of weeks and she was okay after that. Again end of october, it started again, and ped thought it was some left overs and hence asked us to continue on nasonex. That did not help much and subsequently she had 2 – 10 day doses of augmentin and 1- 10 day dose of amoxicillin. While doing all this, ped advised us to go for x-ray and mentioned to us that x-rays were okay and nothing to be concerned. Next we were advised to go for allergy testing through blood test – which covered food allergy and upper respiratory environmental allergies. Again from these results, ped suggested, that she has low moderate level milk allergy and asked us to stop on dairy products. We stopped on milk and yogurt for a week. but that did not help, so we started giving her yogurt occasionally in minimal amounts as that was the only thing she liked. We hesitated a little in going to ENT as she was okay in summer and had never any issues with the milk or dairy and thought it was the weather. She is in playschool now and they take her out to play for 20 mts in morning and afternoon. I was wondering if the cold weather was the reason she was constantly sick. But now with the nose being runny all the time and she has cough early in the morning for half an hour, we decided to give ENT a shot. But all these 3 months she had fever only once. Yesterday she had mentioned that is is painful in the cheek and jaw area when she opens her mouth like yarning. I am really upset to see her go through this suffering and have poured out everything in your blog to get your advice. Thanks for your time in reading this big post doctor. Thank you so much for visiting, and for sharing your story. There isn’t much I can do without sitting down with you and your daughter to review her history, and do a thorough ENT exam. However, I think that you may be in the Washington, D.C. area (scary what digital analytics can tell), and if so, you have access to some WONDERFUL pediatric ENT docs at Washington Children’s. If you are in that area, and would like a recommendation and referral, please email me and I will be glad to make a call for you to arrange a visit. There are some great docs there! Thanks again for visiting, and for your kind comments. I wish I could see you in my clinic this week! Please email me, and please visit again and continue to share your experience. Thank you so much Dr.Russell. I am so happy to see your immediate response. We have an ENT appointment scheduled for this Friday afternoon. I will come and let you know on what the doctor suggests. Thank you so much for this website. I have been using the Neilmed irrigation to much relief. I wanted to suggest this as a great relief for pregnant women. While pregnant with my 2nd son, I developed a severe sinus infection. I could not use decongestants, and ended up on antibiotics. After 2 rounds of them, I switched to the nasal irrigation system. It was the only thing that got rid of it. Haven’t had one again until now – not sure why. Anyway, using this again with much relief. Thank you for your kind comments, and even more for sharing your experiences! The other thing to consider for relief during rhinitis of pregnancy is the use of those spring-loaded nasal tapes – breathe-eze strips – that help keep open the nose for breathing at night. Huge benefit. The other thing to consider is adding Manuka honey to the saline nasal rinses. I know it sounds odd, but Manuka has clinical-trial-proven antimicrobial effects that help eliminate sinusitis without antibiotics. Hey doct my infant is 15months eversince birth we are struggling with block nose stuff runny nose and was suggested to remove adenoids and grommits after experimenting on alot of nosesprays and still till today his breathing is not better then was promised and we are so fedup of hearing different stories all we need is a cure or atleast something that will work for his block nose in the night and give him chance to sleep. thank you. I can feel your frustration, having experienced similar symptoms and struggles in my own children – not to mention my own patients. You may be able to avoid ear-tubes (tympanostomy tubes) by removing adenoid tissue. Enlargement of the adenoids – lymphoid tissue at on the back of the throat at the back of the nose – often blocks the opening of the Eustachian tubes. The Eustachian tubes must remain unobstructed for the middle ears to remain dry and healthy; if they are blocked by adenoid hypertrophy, middle ear infections can result. The number-one cause of nasal obstruction in infants and toddlers is adenoid hypertrophy. Adenoidectomy – surgical removal of adenoids – is much easier to recover from than a tonsillectomy, and has much lower risk involved. Please note that I am not recommending surgery, just that I have witnessed huge improvements in my own patients’ breathing when I removed enlarged adenoids. My advice: find a physician that you can trust, listen to their explanation, ask questions, and do what you feel is best for your infant. I’m so sorry that I cannot provide specific medical advice here. This site is meant as a reference resource only, and I cannot safely provide useful medical advice. Thank you for visiting and for sharing! And best success. Thanks for replying so quickly. Yes, I just purchased some Manuka Honey and tried it last night! Also is lovely in tea too. Just wondering, is the honey safe for kids? I just stumbled upon your site while doing a search for “3 year old, sinitus.” My three year old son has had a fever for 4 days (a few nights reaching 103) now, with coughing, and runny nose with green snot. We’ve brought him to see the doctor three times already and each time they said his lungs were clear, no ear infections, no sore throat. Finally, today, his third doctor visit, they said the back of his nose looked a little inflamed so they’re calling it a sinus infection and prescribed him Azithromycin. I’m worried and confused. Should his fever be lasting this long for a sinus infection? And is azithromycin going to get rid of the infection? I’m going to try the saline drops for his nose, but can you describe to me how I should “rinse” his nose? Thanks so much for your article, Doctor! The best recommendation that I can give you is to take a look at the videos on Dr. Hana Solomon’s site, http://www.Nasopure.com – her videos show how to perform nasal saline rinses. There is even a delightful 3-year-old girl doing nasal rinses herself. Very inspiring. The Nasopure saline nasal rinse system is the one that I use myself, and that I recommend for my patients in clinic (transparency: no financial or other relationship with Nasopure – I simply endorse it as a great product). It sounds like you are in good hands, but I do suggest taking a look at Dr. Hana’s site! Thank you for visiting, and for sharing. Please do give us some follow up! My 5-years-old has his nose full of green stuff, and he was complaining of headaches 2 days ago. He had strong sinus before, and every winter is the same thing: he seems weak and all the time looking sick. I took him to the pediatrist and he asked to book some allergies tests… has been almost 3 weeks, and the weather got worse again, and he got worse again. Is there anything I could do to relief his symptoms? I am already using the product to (salinex) to clean his nose. He makes noses when he sleeps. I think that your pediatrician’s idea of testing for allergies is a good one. Also consider nasal saline rinses to keep his nose clear – it rinses our mold spore, bacteria, viruses, and allergens. Also ask your pediatrician about adding a daily probiotic to your son’s regimen – this made a huge difference for my own children. The Probiotic Pearls for Children, from Integrative Therapeutics, works well for us. Take a look on Amazon for best price. Thanks for visiting, and for sharing. Please keep us updated here. I have been following your website a lot lately as my 2 y.o. daughter is set to have sinus surgery and I just don’t feel right about it. They gave me a copy of her ct scan and I wanted to know what I was looking at and the search for answers brought me here. She has already had an adenotonsillectomy 7 months ago and her CT looks like the first picture above… I take it she needs the saline rinse? Her surgery is set for a month from now…I don’t know what to do! She has had chronic fevers, she was feverish on and off about 4 days a week being over 101 from Sept. 2011 to April 2012 when she had the adenotonsillectomy, symptoms went away until august/september of 2012 and now they are back with fevers which is why infectious disease and our ENT have recommended surgery…thoughts? Please take a look at the artilces on this site on the topic of nasal saline rinses (simply search for “saline” in the search box on the right column), and also visit Dr. Hana’s site, Nasopure.com, for more info on using nasal saline rinses in children. Also note that virtually all of my rhinitis and sinusitis clinical patients are advised to take a daily multi-vitamin, and also a daily probiotic (Probiotic Pearls for Children, from Integrative Therapeutics – available from Amazon on the boogordoctor’s Amazon Store). Also consider using a nasal saline spray that contains Xylitol (from Xlear.com, also available on our Amazon Store) to help fight chronic infection with biofilm-forming bacteria. There are articles here on the benefits of probiotics (also down-loadable pdf’s in the “free library” tab along the top of this blog), and also on the benefis of Xylitol. It is extremely unusual for a 2-year-old child to require sinus surgery. In a cohort of 250 children who were referred to me expressly for “sinus surgery,” I we were able to keep more than 80% of those children out of sinus surgery with a regimen that included saline nasal rinses, probiotic, and xylitol! My advice? Whenever anyone recommends surgery, it may be time for another opinion. And then, perhaps another. I already received a second opinion, postponed her surgery, and still don’t feel right about it. The seond opinion told me that if it was her child she would have the surgery done because a toddlers sinuses shouldn’t look like that. It is scheduled for January 22, but now I am worried since flu is so prevalent that she could get a nosocomial infection… She has continued to be feverish a few days a week with clear drainage from her nose and bright rosy red cheeks all the time. She already takes a multivitamin, but I will look into the probiotic also. I am inclined to cancel her surgery, but if it will help…I just don’t know. She seems mostly ok , but when she gets sick it is bad and all too common for a two year old. Oh, and she is having a revision adenoidectomy and a tracheo ciliary biopsy (not sure if I spelled that correctly) at the time of her surgery. Of course, without examining your daughter and having her complete medical history there is no way I can offer any worthwhile advice beyond the general considerations covered here in articles on this blog site. My strongest advice is to find a Pediatric ENT doc that you feel good about, that you easily communicate with, and that you trust, and work out a treatment regimen with them. I’m sorry it can’t be me. The Ped ENT docs over at U of MN are excellent! (some of them trained me as a resident; I trained some of them as residents). I know these are difficult decisions to make. Get help that you trust! Please help me to give me advice for my 3yr old boy whose nose has swollen inside on the back of his left side nose. He did not have any cold fever or any green yellow mucus coming from his nose. I just found out yesterday as I was cleaning his nose and I see that swollen nose is being kinda blocked his airway to breath. Please help me!!! I don’t see any infected bumps or anything but it sure is swollen in the back of his nose. Would saline rinse work for this? How can I heal this swollen inside nose? What would be causing him when he is not sick or doesn’t have any cold symptoms ??? Of course, I cannot provide medical advice through the internet, and cannot give you specific guidance without actually examining your son. Let me say that, after many years in practice, and after all of the children who have come to me because of “a lump in their nose,” that swelling is usually NORMAL. But in order for you to be completely reassured, you must take him to your doctor. Please do let me know how this turns out. I just see that it looks lot like a sinusitis nose infection something like the airway is being very thin because of the swollen sides I guess to best explain to you over Internet . I know it’s hard to give advice without seeing but if I do saline rinses would that help to get swollen sides of the nose? One nose is just fine no swollen, but other one I looked at all night long and This morning looks just like red swollen side is making airway thinner and looks runny booger or wet inside . I love this blog. I have written before and always found the posts very helpful. My four year old son just had the FESS procedure. This was after years of sinus and asthma issues and numerous courses of antibiotics. His ENT is wonderful. We are doing the Neilmed rinses twice daily for at least the next six weeks. My only real concern is that my son has sensory processing disorder and some other delays. Every time we do the wash it takes at least three people to hold him still to do it and I’m a pediatric nurse so I know how to hold kids down and he’s upright when I do this . I guess I’m really worried about aspiration. He gets so upset that he gasp and the water just gurgles. Have you seen may incidences of aspiration with this treatment? I know it’s necessary because of the drainage that I get when I use the rinse. So sorry to hear that your boy needed a FESS. Sinus surgery is seldom a great solution for children, but it sounds like you are working to do the right thing. Nasal rinses can be a wrestling match for some kids. One of our three is particularly resistant. Be sure to take a look at the videos on the Nasopure.com site, and you might consider contacting the owner of that site – a great integrative Pediatrician, Dr. Hana Solomon – for more advice on nasal rinsing. Sorry I don’t have any great advice or insights for easier nasal rinses. And thanks so much for visiting and sharing! Are you kidding me. Do you realize how much radiation a CT scan emits and I was told that over and over by many different doctors including the percentage of me likely getting cancer in the future because of the high radiation CT scans emits. That is a crazy amount of CT scan for a little boy! I was in emergency the other day and even the doctor wouldn’t recommend it unless it was the choice between instant death and CT scan. Yes, the amount of radiation that little boy was given by that hospital was nuts!! I called and argued with the head of the team caring for him (about those CT scans, among other things). In my experience, a CT scan to evaluate pediatric sinusitis is rarely indicated, usually for complications or in planning for surgery. I am a strong advocate of the ALARA principle (as low as reasonably achievable), described by Dr. Thomas Slovis (see references at this link: http://www.cancer.gov/cancertopics/causes/radiation/radiation-risks-pediatric-CT). I was fortunate to be chairman of ENT where Dr. Slovis was Chair of Radiology / Medical Imaging, when he was still practicing. He was one of the first, and loudest, voices to lead protection of children from unnecessary radiation in medicine. He was a strong and sincere advocate for children! Thanks for visiting, and for sharing your opinion! Hello, I was reading through here and there are a few things I have questions about. First: my 2 1/2 yr old daughter was seen at the ent and I was told she has possible polyps on one side. He said this is not normal. We just had the CT scan done today and will not see the dr again till Wednesday, that’s 6 days of constant fear. When I look at the ct pics I see a lot of gray area in her maxillary sinus on the right but nothing in any other sinus area. What could be causing this? Do you see this often in children because I was told it was rare? Second issue: I also have horrible sinus problems usually year round. When I use the saline rinse in my sinuses it seems to make matters worse. It feels like most of the water stays in there and then I get a worse headache. It used to make me feel better but for some reason is definitely not helping anymore. I noticed it making me worse after I had my tonsils removed when I was 34. Is there a connection? And how do I make it work for me again? (1) Yes, it would be very unusual for your 2 1/2-year-old daughter to develop nasal or sinus polyps. Because of that, you must take her to a PEDIATRIC ENT! If it was a pediatrician or a general or adult ENT who suggested that she has polyps, the very likely does not have polyps. But be certain that she is seen by a pediatric ENT, or the next thing you will be told is that she needs surgery, when she may in fact not even have polyps! (2) Yes, tonsillectomy – removal of tonsils (and usually also removal of the adenoid tissue, or “adenoids,” at the same time) CAN alter your nasal and sinus anatomy and physiology. I wish that I could provide some insight for you, but that is just not possible without sitting and chatting with you and examining you. And I don’t know how to make it work for you again. Consider seeing an ENT doc who practices a more holistic or integrative approach (they do exist, and more are “seeing the light” all the time). Alternatively, consider visiting with a naturopath. If I were still practicing, I would ask you to come for a visit. Please follow up and let me know how both you and your daughter are doing! Best health, and best success! My son is 4 years old and wakes up each morning coughing to clear his throat from post nasal drip. I have been told by the Drs that he has allergic rhinitis.Please advise how many times a day I should do nasal irrigation? Is it more effective in the morning and evenings? I am wary about doing it at night in case the saline solution starts dripping back into his nose and makes the post nasal drip worse. Please advise. If you can do even once-per-day nasal saline rinses in a 4-year-old, you are a stronger parent than I am. I was doing nasal saline rinses in my 3-year-old without an troubles, but when he turned 4, he suddenly decided that he didn’t like it, and has refused since. The only time he will cooperate is if he is completely congested to the point of obstruction; then he relents. There is no problem doing rinses at night, but if it concerns you, don’t. Please do let me know how it goes! Best health, best success! My daughter almost died to sinus infection. She was then diagnosed with meningoenchiphalitis. Yes, most folks don’t have any idea just how dangerous a sinus infection can be – especially in a child, where the bones of the skull surrounding the sinuses are not fully developed yet. That can allow infection from the sinuses to easily enter the cerebro-spinal fluid (meningitis) or to infect the brain directly – brain abscess. Glad to hear that she recovered! Thanks for sharing. seems fine and doesn’t appear to be uncomfortable. Of course it Saturday and the doctors office is closed. Would you recommend we try the saline rinse? In my experience, the number-one cause of foul breath in youngsters is not oral, not their teeth, not due to poor-brushing. The #1 cause is chronic, indolent, smoldering adenoiditis. Chronic low-grade infection of the adenoid pad, at the very back of the nose, up above the palate (not visible) is the cause of bad breath in children. Options include: nasal rinses (also rinses the adenoids), but that is almost always a huge struggle with a 3-4 year old; antibiotics, often long-term (not a fan of this one); gargling salt-water, but most youngsters don’t really ‘get’ how to do that; adenoidectomy, and surgery seems a bit aggressive to treat bad breath. And – if she’s not suffering, why go that route? The only thing that would make me consider an adenoidectomy (as it did with one of my own children) is the issue of mouth-breathing and snoring. Adults snore for many possible reasons; children mostly snore due to upper airway obstruction caused by enlarged adenoids and/or enlarged tonsils. Significant hypo-ventilation during sleep, or frank apnea, both warrant surgery for a child, as both conditions can have effects on growth and development. Better: consider adding a probiotic to their daily routine for the immune boost and alteration of the commensal flora. If you go up to the very top of this blog, above the header image, and click on the tab at the top far-right labeled “Free LIBRARY,” you will find a pdf file on labeled “Review of Probiotics for Children” that you can down-load and/or print out. There is a list of recommended probiotics at the very end of that taken from Dr. Greene, famous pediatrician. Regardless, it sounds like a trip to the pediatrician is warranted for your granddaughter. Thanks so much for visiting, and for sharing. Thank you so much for the quick reply and all the information. We will be calling her pediatrician in the morning and also trying the nasal rinse. We would like to avoid antibiotics if at all possible and have purchased a bottle of Probiotic Sufficiency 15 billion viable cell/ capsules. What dosage would you recommend for a 3 year old? You are very welcome. We used to give our kids a “pediatric” probiotic, until they stopped making it. Why did they stop making it? Because the FDA says that the adult “dosing” for probiotics works for kids, too. So now we give our kids my probiotic (Probiotic Pearls Advantage by Integrative Therapeutics). Dr. Greene probably has more about “dosing” on his site. Stumbled upon your website, while looking for biofilm and sinus. Will try some of the suggestions. My 8 yr old son is constantly down with allergies/coughs, and nasal issues. He is currently 1 year into allergy shots, and we are trying to control his cough. The PED suspects Asthma, the Allergist says he does not have Asthma, but allergies. The ENT guy we saw last week mentioned biofilm, and put him on another round of Omnicef(10 days). Leaning to getting his adenoids out. Those conflicting opinions was the reason I started a multi-disciplinary clinic with many specialists: to get them “all on the same page,” and arrive at a consensus. Mostly, to learn from each other – and from the moms in clinic! Sounds like it may be time to find someone with a “big picture” view, someone who looks at the whole patients, not just their little corner of the world: a “holistic” practitioner. My own personal doc is a naturopath (ND) who treats the whole patient. Thanks for sharing, and best success! I live in Iran and our city is very polluted. My 3 year old son was diagnosed with Maxillary sinuses that show mucosal thickening and mild opacity due to sinusitis (with scans). Also it says that the adenoid tissue is prominent with mild pressure effect on upper air ways. The doctor recommended an antibiotic and diphenhydramine (3 times a day). This all started 3 months ago when he had a cold and the cold would go away but the coughing at night wouldn’t. he was given antibiotics twice in 2 months for sore throat while he had the cold but for the cough they only gave him antihistamine (ketotifen). So finally today we did X-rays to determine what the problem is and again the doctor recommended the antibiotic and antihistamin. she said this antibiotic will get rid of his sinusitis and the antihistamine will ease his symptoms know doctors know best but do we really need to give him antibiotics? I dont like medications and am very skeptical when it comes to giving them to my son specially antihistamines 3 times a day seems too much to me. His appetite goes out the door (obviously) when we start the antibiotics and adds to our frustrations. i did give him saline nasal spray on and off (once a day) for the last two weeks. but they had no effect. please help me as i am going crazy! I can feel your frustration through your note. It’s never easy to see your child – or any child – sick, and to be unable to help them. Unfortunately, there is no way for me to give you medical advice at a distance. I will say this: enlarged adenoid tissue is often a reservoir for bacteria and other microbes to hang out. Even following “curing” sinusitis with antibiotics, those microbes that are still in the adenoid tissue can then re-seed the sinuses, and the process starts over again: recurrent sinutis, or chronic rhinosinusitis. Children with recurrent sinusitis, chronic sinusitis, or asthma, often benefit significantly from removing the adenoids – an adenoidectomy. And on the positive side, an adenoidectomy does not have the discomfort or the risk that can be associated with a tonsillectomy. If your little guy has a night-time cough, he may have reflux (GER), especially if the night-time cough wakes him up from a sound sleep. 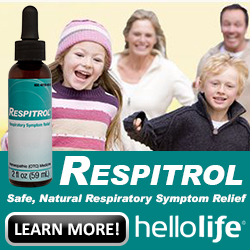 Reflux in children is a well-recognized contributor to sinusitis. Take a look at this article on littlestomaks.com (a great site, by the way!). Oh, one last thing: nasal saline “spray” is not the same as nasal saline “rinses.” Please visit the Nasopure.com site and watch their videos on doing nasal saline RINSES on youngsters. Doing that – daily saline rinses – is guaranteed to make a difference (or, at least as much of a guarantee as there can reasonably be in medicine). On the other hand, speaking as a father of 3 kids who have undergone nasal saline rinses, doing nasal saline rinses in a 3-year-old can be a challenge (understatement). Best success, and please keep me updated. We are about to pull our 3-year old out of school, again, because he is miserable with sinusitis after every cold. He is being treated for asthma, sinusitis, and GERD. He has been prescribed 21 courses of antibiotics (augmentin/cefdiner) in 2 years for sinusitis. When we took him out of day care at age 21 months and kept him away from other kids, he went 5 months without a cold/sinus infection. He is on Flonase, saline spray (not rinse), probiotics, multivitamin, Zantac, Dulera, and Singulair. His adenoid tissue was removed at 20 months old. Allergy testing didn’t show anything. Blood work showed his IgA and immune system to be normal. Next steps are testing for CF and cilia problems. Our questions are: 1) How long do we give the nasal rinse (as opposed to spray he’s using now) to work? In other words, after how many weeks with no improvement should we stop trying? 2) What was the cause of the sinusitis in the 20% of kids who didn’t respond to the nasal rinse? 3) How do you know when treatment for reflux is inadequate? Thanks for your help and site! To clarify: it’s not that 20% of children (who try nasal saline rinsing to treat sinusitis) “don’t respond.” In my experience, 100% of people – adults and children – who actually do daily nasal saline rinses will “respond.” That is, they will experience an improvement in their symptoms; they will achieve at least some reduction in their sinusitis. The 20% was referring to those children who were sent to me expressly for sinus surgery, but who “failed” maximal medical therapy, including: daily nasal saline rinses; anti-inflammatory diet (“elimination diet” with trial off dairy, etc. ); quercetin / bromolain anti-histamine; long-term antibiotics. Twenty percent of those children ultimately required some level of surgery – with the first step being adenoidectomy (possibly with tonsillectomy) to eliminate the reservoir of biofilm-producing bacteria in the adenoids. Overall, an 80% success rate is extraordinary, and my team was proud of those results! The majority of those children who “failed” maximal medical therapy for CRS exhibited positive mutation-tests for cystic fibrosis, or immotile cilia (primary ciliary dyskinesia), a subtle immune deficiency, severe allergies, or other anomaly that would explain their struggles with chronic rhino-sinusitis. Frankly, the #1 culprit was exposure to tobacco smoke! Let me repeat that: exposure to tobacco is the primary cause of respiratory ailments in children who are refractory to treatment! Happy Holidays, and a Healthier New Year!! First of all I wanted to thank you for letting me know about the nasal wash and how much it can help my son’s (now 3 years old) sinusitis. The last time he took antibiotics for his sinusitis was 2 months ago and I have been giving him nasal wash ever since and he has been a lot better. however a few days ago his runny nose and cough (which he had for awhile) got worst and he just started having a fever last night. His doctor recommended a cold medicine that has both pseudoephedrine and chlorpheniramine in it. I have given it to him before but a friend of mine told me that this drug is not for kids under 6. I dont know what to do, AGAIN! Is this drug safe for kids?My son’s doctor said its probably his sinuses again and its probably an allergy that causes it. but what they fail to tell us is that 1) how can we find out what kind of allergy is causing this 2)For how long are we supposed to give our son medication for allergies? what bothers me is that I dont even know the long term effect of these drugs and am afraid i am damaging my son’s health in the long run. Can you advice me as to how I can find the root of this sinus problem or allergy ? I am going to continue the wash regardless. thanks Doctor. I can say from experience with my two boys, it can be a huge challenge to do saline nasal rinses in a 4-year-old. Be sure to check Dr. Hana’s website, Nasopure.com, for videos of kids doing the rinses by themselves: those convinced my kids to give it a try. Thanks so much for sharing here, and please keep me updated! Helping a child wash in the correct way is critical so the washing is comfortable, safe and effective. If you need exact instructions for little ones, I can share my notes, just let me know. Confirm you are using a very buffered solution and use at least a bit more salt mixture than isotonic, hence slightly hypertonic for best results as studies support the saltier the solution, the more allergens are removed. Great question and great mom for questioning these medications! Agreed, Dr. H: thank you for joining in. My best education has come from mothers – they’ve “been there done that” when it comes to alternatives. They know what works; they know when to question. First I would like to comment that your site is full of refreshing common sense! It is also great to see that you take the time to reply to everyone who has questions. So now, onto mine :) I have been a chronic sinus sufferer for over 10 years. I am 48, overweight but not obese, and whilst allergy tests have not revealed anything I could be allergic to, I still do get hayfever symptoms at various times during the year. 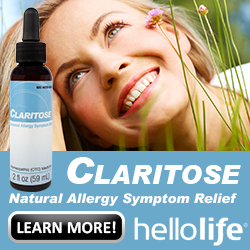 I take antihistamines regularly, but they are not the total answer to my sinus complaints. I can’t take pseudoephedrine but have spent far too long using phenylephrine as a daily crutch. Years ago I gave up running for antibiotics constantly as they never completely cleared the problem. I have had better luck with improved diet (staying away from sugary things), immune boosting substances from the local healthcare, and keeping hydrated. My sinuses are mostly more ‘stuffy’ or swollen than anything, I get very little discharge. The question I have is to do with rinses. Many years ago I purchased a neilmed kit and used it once per day for several days, always ensuring the water had been previously boiled and the bottle sterilised. But for the half dozen times I tried this, each time after about the 4th day I would have to stop because I would develop a burning sensation which got too painful in the end, and even if I didn’t have one when starting, I would also end up with nasty infection with discharge and sinus pain. Can rinses cause infections infections like this? Or is there some other reason rinsing is not working for me? I really would like to try again, maybe with manuka honey, but I’m seriously wary. First, thanks for visiting, for sharing, and for your kind comments. Next: I have experienced similar burning, and also skepticism regarding Manuka honey. I also started with the NeilMed system and salt packets. For many reasons, I have since switched to the Nasopure.com system. Better company (in my not-so-humble-opnion :)), and the salt packs don’t burn my nose as much. And the only way to be reassured about Manuka honey is to search on the topic and read all you can: you will find that Manuka has powerful, innate anti-microbial activity. I don’t use it in my daily rinses, but I am certain to add it to my rinses during and after every “cold” (viral URI) that I get. Since starting that routine I have yet to experience the disabling sinusitis that was my routine some years ago. Nice improvement. My advice, whenever ANY remedy seems to irritate you: try another preparation of the same thing; try a different brand of nutritional supplement; try a different vitamin; try a different source. For me, the solution was Nasopure. My 4 year old had tonsils and adenoids removed at age 3 – her tonsils were huge according to the ENT. After that she could eat, breathe and sleep, however she always has cold symptoms. She is now 5 and this last week suddenly got a blocked nose (completely blocked – we can see no obstruction (neither could ENT) but she is constantly sniffing in with what can best be described as a watery sound – but when she blows her nose – nothing comes out, she breaths shallowly (but she breathes) and she now has a fever also – could the huge tonsils in the past signify an allergy and as they have been removed it is now showing up in her nose? Should I be worried? We have not tried nasal rinses. She is in so much discomfort. Nurofen is working to reduce her fever. I am thinking polyps? Or rhinitis? we saw ENT before she developed fever and she was breathing fine but he did not look up more than just shine with a light – she complains of headache also. My 3 year old son has just been diagnosed of a sinus infection. He has just been put on Amoxycillin for 2 weeks. I have just come across your site and find it really helpful. I am thinking of starting him on a nasal rinse, while he’s taking antibiotics. If this helps, I would like him to do nasal rinse daily to prevent future sinus infection and frequent cold/flus. But then I found an article from the following website saying that ‘ Frequent Nose Irrigation May Lead to More Sinus Infections’? What’s your professional view upon this? Do you think long term daily use of nasal irrigation is safe? Thank you so much for that link and your question! I agree with most of the conclusions from that study, mainly: for the average healthy person, daily nasal saline rinses can be detrimental. Daily saline rinses can wash away normal immunity that is present in normal nasal mucus (things like IgA and other immune components). I don’t advise daily nasal saline rinses for the average healthy person, though saline rinses can be a huge benefit for them during acute sinusitis. The caveat is that the majority of children who are sent to me are not average health children: they have immuno-insufficiency, or abnormalities in their nasal mucus, cystic fibrosis, severe allergies, asthma, or any of the many other chronic aero-digestive inflammatory disorders. For these children, daily rinses often make the difference between spending months in the hospital for IV antibiotics, steroids, and other life-saving therapies, and being able to live the life of a more normal child at home and school. For your 3-year-old, daily nasal rinses are not necessarily indicated once the acute sinusitis has been cleared. Not to mention that getting a 3-year-old to cooperate with nasal saline rinses can be a wrestling match. For the best guidance on that, be sure to visit the Nasopure website for some great videos! Again, thanks so much for your question and for sharing! Please keep me updated on how our little boy does. Thank you so much for your reply. The reason why I am considering daily nasal rinse for my son even after this sinus infection is that it’s very easy for him to catch cold/flu. Ever since he started nursery around 2 years old, he’s been sick once every 3/4 weeks. The runny nose usually goes away after 1 week, but the coughing can linger a while especially in the morning. His paediatrcian thinks that his allergic rhinitis makes it easier for him to catch cold and to makes a common cold harder to go away. Apparently this is actually pretty common among the kids here in Hong Kong. I would really appreciate that you could give us some advice regarding nasal rinse and etc given the situation we are in. 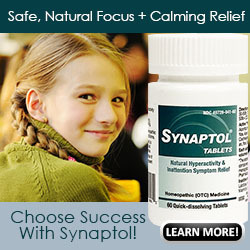 Do you think in this case, it is more beneficial for my son to do nasal rinse daily? Will this somehow reduce the chance of him getting a cold/flu? Your pediatrician may be correct. In my experience nasal saline rinses can be beneficial for toddlers with rhinitis (from any cause, including allergies). BUT, it can be a real challenge to rinse a toddlers nose. See the comment from “p.a.” on this article here: seems he or she was able to do saline rinses for their little guy. My recommendation for a kid-sized nasal saline rinse kit is Nasopure.com (no financial relationship, but I use their stuff for myself and my own kids). Dr. Hanna (at Nasopure) also has THE BEST videos on how to do rinses for children. Check them out. To answer your question: there was a study published in 2009 that concluded DAILY nasal saline rinses actually INCREASED the risk of colds (in adults). The recommendation based on that study is to simply not do daily rinses – every other day or every few days. Their IS benefit to rinsing away the viruses, bacteria, and allergens (pollen, mold spores, animal dander, etc) with saline rinses. Again, refer to the comment from “p.a.” for benefit. Thanks so much for taking time to visit and share your thoughts. You are totally right. I have been trying to rinse his nose for the past week, it’s just impossible. Since his sinus infection is almost gone, I think I might just give up for now and wait a while. I don’t want to traumatize him, but I will definitely keep trying in the future. I think this will help with his allergies and rhinitis and will prevent a sinus infection. However, the only thing I can do now is to give him a nasal saline spray twice a day. Do you think daily saline nasal spray twice a day for my son in the long term is okay and will still help in his situation somehow? Thank you so much for taking your time to answer my questions! Wish you and your family a very Merry Christmas! Best success, and Happy Holidays! Thank you so much for your help! I really appreciate it! Unfortunately, there’s no way for me to give guidance without a complete medical history AND exam … I won’t even try (much as that frustrates me). My advice: find a pediatrician or pediatric ent doc that you trust and get help. I just wanted to say Thank You, Thank You, and Thank You. I emailed you last year when my son had sever sinus infection and they put him on 2 rounds of antibiotic (and his sinus infection was becoming a regular thing).. He kept getting sick and I was a miserable mom. After you suggested the nasal wash I stopped giving him any medication and started the nasal wash 3 times a day when he was sick and i do it once a day now (except summer time when he doesn’t really get sick as much)….Not only it helped him during his infection and cleared his sinuses, but he hasn’t gotten any infection since last year!!! I have also started giving him turnip and honey juice EVERYDAY during Fall/Winter and I think that has also helped his immune system. Thanks again and I wish any mom with this problem comes across your site. My daughter has snot which I discovered recently and it caused her nausea and then chills which developed into high fever within about 30 minutes to an hour. Then her remnant dry cough gets productive. She has had cold on and off for 4 months now. Her cough never went away completely. Yesterday we rinsed her nose with saline spray her nose got a bit runny and she got the snot stuck in her throat while I was feeding her. She was not a able to cough it out and she was scared if she would vomit. We gave more saline spray hoping it would help. Situation did not improve then we noticed that her cough got productive. Feet and hands turned cold she had chills and then high fever. Could this be infection of sinuses. Can you please advise: I am on cipro for sinusitis – but no relief on my right half (I have a deviated septum). I decided to rinse with honey. Unfortunately I have no time to wait for Manuka honey. Is it safe to use another type of honey? A friend said she used honey back in Europe – what is your advice please regarding the use of other raw honey? Can I use the honey in the Sinupulse machine? And a second question, please: it appears that this time I got sick after visiting my doctor at a sinus center. She put something in my nose and I had to go outside and drive through a snowstorm. I had a frontal headache as soon as I left the building and I felt my airways very open. That day I also lost my appetite and I was up 6 hours past my bed time. A few days later I had a low fever and in two days the fever went up and I believe I have meningitis (neck stiffness, mood changes, light sensitivity). I kept my sinus issues in check up until the day I had whatever put in my nose. Is it possible that opening my sinuses for exam made me vulnerable? Third and last question: if I take one pill of Sudafed I cannot sleep at all – Mucinex strength also keeps me up all night. What is your advice please? I would like to avoid Sudafed and Mucinex. Flonase also tends to make me a bit too “alert”. Are there any other natural remedies? Many people use honeys other than Manuka for rinses without issues. Don’t use honey if you have an allergy to honey (duh! ), but other types of honey usually okay. Yes, you can add some honey to the rinse in a Sinupulse machine. Be sure to wash it thoroughly afterward so that the sweet residue does not invite growth of microorganisms. I suppose that it’s possible that opening your sinuses made you more vulnerable to an infection, but doubtful. The best decongestant I have found is saline rinses. After that, guaifenescin, but note: it’s difficult to find guaifenescin without other drugs added to it to make a proprietary “brand.” Find the generic if you can – ask your local druggist. Guaifenescin is a “mucus thinning agent.” Great effect to help your natural muco-ciliary clearance to do its job: thicker secretions are difficult to clear; thinner is better. Thanks for visiting, and for sharing. I wish so much that I could examine your boy and review all of the images. Under the circumstances, though, my best advice is to seek another opinion. Travel all the way to Dallas if you must, but get expert opinion any time someone says that you need surgery. I tell my own patients that every time I recommend surgery: that they should get another opinion – I’m never offended by that. I’m my patients’ advocate, and want the best result for them. Your son’s doctors will be the same, so don’t worry about what they may think. Just go where you need to in order to find an expert in pediatric sinusitis and get him there. Soon. We will be trying the rinse on my 2.5 year old grandson. He’s had chronic sinusitis and his CT scan shows ethmoid and maxillary sinuses completely blocked. They want to do a sinus rinse surgery and remove his adenoids. My 3 month old granddaughter has had congestion since she was about a week or two old, and has already had an ear infection and bronchitis from it. We were told to use saline spray and the Nose Frida to suction mucus along with breathing treatments twice a day, but they tell us there’s nothing else we can do until she’s at least 6 months old. Can an isotonic rinse be used on a child this small ? Sounds like many of my own patients. Thanks so much for visiting, and for taking the time to share. Please keep me updated! And best success! my 4 year old son has been sick constantly for over 2 years now. It started out with ear infections sinus infection and throat infections. He grew out of the ear infections and rarely gets one now, but is on antibiotics 10-20 days out of the month every month He has had his sinus scraped and widened, his tonsils and adnoids out, then it was discovered he had a 12mm whole in his heart with the right side enlarged. he had open heart surgery (they said that would clear up all his sinus issues) well 5 months from his open heart surgery we have had 4 sinus infections and 1 ear infection. They put him on a bactroban nose spray for 1 month and it did not help 3 weeks later he had another sinus infections. he has been on steroid nose spray but that caused dailey nose bleeds, and ever since he started getting the sinus infections he had bad nose bleeds about once a month. They have done an immune deficiency test it all came back normal. They also tried antibiotic shots and he still gets sick with in 2-3 weeks. we have seen countless number of doctors and no one can seem to tell me why he is always sick when he was a healthy baby until he turned 1 1/2 any feeedback would be greatly appriciated! I’m sorry that I don’t have a solution for you. Please consider contacting an “academic” pediatric program, such as Johns Hopkins Dept of Pediatrics, or U. Pennsylvania Dept of Pediatrics. Other very strong pediatric programs that may be helpful include Packard Children’s at Stanford; Boston Children’s Hospital; Denver Children’s; and some others. What you are looking for are the outside-the-box pediatric experts in infectious-diseases or immunology, or even respiratory ailments. My other standard advice may help you boy too: look for a “naturopath” – they are pretty “outside-the-box” compared to standard, main-stream medicine in this country. They are trained in many global health traditions like acupuncture, traditional Chinese medicine, herbal medicine, etc. ; and they are much more “whole-istic.” That is, they look at the whole patient. The challenge with the “experts” is that they focus on such a narrow area of expertise that they can miss issues in the big picture that may be the cause of your boy’s issues. Thank you for visiting, and for sharing. Please keep me updated: children like your son can be frustrating to heal, for everyone – parents and physicians, too. Best success! I was wondering about nasal rinse for my 3 month old son who has been suffering from nasal congestion since he was a few weeks old. Would using a bulb syringe and a saline solution for a quick nasal flush be ok to do on babies that young? I have seen a few videos on YouTube doing so to infants as young as 3 months old. Please let me know what you think. At 3 months old, an infant has not yet really developed sinuses yet (take a look at this article: http://www.boogordoctor.com/development-of-the-paranasal-sinuses-in-children/). In my experience, it is usually sufficient to simply spray a few drops of saline into an infants nose while they are lying on their back (supine) during a diaper-change. My favorite is the Xlear (pronounced “clear”) brand of saline nasal spray containing Xylitol (here is my affiliate link for Xlear nasal spray on Amazon). Hi Dr. Faust. Thank you for responding and the article. So I’m still confused as to what do about his severe congestion. I have tried the few drops of saline and nothing has worked and the nights are the worse for my baby, no amount of saline drops help. I keep hearing it and he seems to be trying to swallow the mucus/boogers after a round of saline spray but to no success. That’s why I asked if I should try flushing the congestion out with saline solution. He hasn’t developed a fever yet and I’m really trying not to take him to his doctor who most likely will treat him for sinusitis via antibiotics which I really don’t want. Please let me know if it’s just better to do a nasal wash with something like a bulb syringe and saline solution. For complete transparency: I have no financial relationship with Nasopure, just think they make great products (I personally use the Nasopure saline rinse system), and Dr. Hana provides such great information and videos on her website, I recommend them every chance I get. Give that baby nose cleaner a try, it worked great for us during the infant years! It is never normal to struggle to breath while sleeping – what you describe is “obstructive sleep apnea” or at the very least obstructive sleep hypo-ventilation. Breathing difficulties are one of the few things that will move me to perform tonsillectomy, because I have no natural remedies to shrink the tonsils and adenoids and open the airway. I’m sure that you’re in good hands there in New Zealand, and that you’re doing the right thing. Thank you for visiting, for sharing, and please keep me updated. Hi Dr. Faust, I love the advice you give, it’s so practical, thank you for taking your time to answer my question. Is it possible to have a fungal infection in the facial cavities? Can an infection in the cavities be connected to a gum infection? I ask because I have recently completed a 10 day course of Diflucan, during which time I felt really great, my gum pockets reduced from 4/5/6 ml to 2/3/4 ml! After a few weeks my symptoms are returning. Blocked ear, congestion, discomfort behind my eye, bad taste etc. I used to nasal rinse but now I find the pressure is too painful. I use Xylitol spray and even rinse my mouth with it, definitely improves your breath! I use an antihistamine spray and Nasacort daily, and take a Sudafed daily. I did have a nasal swab prior to taking the Diflucan which came back negative for fungus and bacteria, my sinus Xray didn’t show anything. Any advice would be wonderful, thank you, Lynne. The answers to your questions are yes and yes: Yes, it is possible to have a fungal infection in the sinuses; and yes, sinus infections can be related to dental and gum disease. Any time someone is considering those possibilities, my strong recommendation is for evaluation by a physician. Thank you for sharing, and please see your doc. Keep me updated. Very interesting article and I think it can help my 5 year old too. He used to get 2-3 weeks of cough following common cold. When he used to sneeze, it felt like the sneeze isn’t coming out, like it is suppressed. The cough would get so bad it would be like every minute. The pedi suspected allergies and we took him to allergist. He had mild pollen allergies. Plus we were given cough variant asthma action plan. Following all of these had not effect on the cold-cough pattern and the sneezes were still so ‘quiet’. He was only 3 then. Later I got sinusitis twice in 5 months and had symptoms exactly like his. We took him to another round of docs including ENT. I feel like some doctors misdiagnose sinus related issues as cough variant asthma. Or maybe its a little bit of all like reflux, allergies, sinus issues together. He still gets that type of cough sometimes and I still dont have a solution for it. Only thing that works is oral steroids. Nasonex or Flovent or albuterol dont help at all. Will definitely try nasal saline rinse. Thank you for visiting and for sharing, and best success. You must address specific medical questions with your own physician(s). Dr. Faust, I am a big believer of sinus rinses after having a terrible sinus infection one year. I have just successfully taught my 7 year old daughter how to do sinus rinses this week. She had an adenoidectomy when she was 5. Her nasal passage was about 80% blocked due to her enlarged adenoids. She’s a petite little thing too. She still has trouble blowing her nose. She got very stuffed up this past week over Christmas. I finally convinced her to try the sinus rinse after demonstrating it myself and promising that it would not hurt. She did great! What a difference it has made. She felt better after the first rinse saying her head didn’t hurt anymore. Thank you for all the good information you put out there. More general practitioners and pediatricians should advocate for sinus rinses before prescribing antibiotics in my opinion. Dr. Faust, my three year constantly gets sinus infections with chest congestion and fever of 101 degrees. When she is sick I do the saline rinses which really helps with the mucus. My question is, should I let the mucus drain, or should I force it out by making her blow her nose while holding down a nostril, one at a time. I don’t want to make things worst. Your advice would be greatly appreciated. C: Thanks for visiting. Tough for me to answer this question without an exam to see the problem for myself. But note that nasal and sinus mucus is there for a reason: to help protect us. That mucus is part of our immune system; it contains “secretory IgA,” which is an antibody that helps prevent bacteria from adhering to the nasal lining – if it can’t stick, it can’t invade and infect. The mucus also acts as a physical barrier to microorganisms hoping to invade: it is constantly washing down the back the throat to wash away trapped microorganisms; we swallow it without even noticing. Once in the stomach, our stomach acid helps kill more than 90% of swallowed bacteria. The problem arises when – as with a head cold or allergies or sinus infection – the nasal lining makes copious amounts of thickened mucus. Yes, it may be protective, but it can be a huge nuisance, especially in younger children. So: I don’t have an answer for you except to say, if your girl is struggling because the secretions are too thick and obstructing her breathing, then help her out by rinsing / suctioning / blowing them out. Not sure whether any of that long-winded ramble helps, but I thank you for visiting and for sharing. Best success. First, significant nose-bleeds (“epistaxis”) in a pubescent boy must be evaluated by an ENT physician. Regarding how to do saline nasal rinses: visit Nasopure.com for helpful videos. Thanks so much for visiting and for taking time to share. Sorry to hear about your daughter’s struggles (and yours). I have not seen the ear-infection-when-using-nasal-rinses before, but that doesn’t mean there isn’t a connection. You might want to chat with Dr. Hanna Solomon, founder of Nasopure. She’s a pediatrician, and may be a good resource for you. 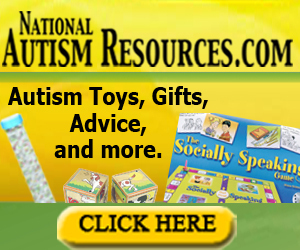 You can reach here through the Nasopure.com website. Sorry I don’t have more definitive solutions for you, but it’s not possible without a thorough history and exam – not possible over the internet. You may want to consider seeking an opinion from a respected naturopath – they will consider diet, nutrition, and environmental factors in the context of the whole person, not simply treat a diagnosis. Thank you for your kind comments, and for sharing. Dr. Faust, thank you very much again for all your posts. I had few questions for you back in March and your answers are extremely benefitial. An update on my 6 year old daughter : she had to have a second surgery, they found some polyps but they also found moderate growth of resistant type of haemophilus at the cleaning 3 weeks after surgery. They said that there was no reason to treat it and we left it alone (we were really happy after tons of antibiotics that my daughter had to take over the winter ). Her cough has gotten so much better with taking asthma medicine (1 puff of inhaler in the morning and Singulair at night). The truth is that her cough has improved just by surgery alone. We resumed her saline rinses with nasopur and it keeps doing wonders (she also had her ear tubes done), so now, she no longer complains of earache. I think having constant infection that wouldn’t respond to antibiotics 100 % was the reason for ear infections every time we resumed rinses. We simply spread bacteria all over. Now to my question. She was doing absolutely great for 2 months but last week she started to be very congested to ghe point that she couldn’t breathe through her nose for 3 days. She seems to be fine now but every time she comes from school and rinses he nose, a lot of (clear) mucus comes out. And for whatever reason, if she just blows her nose without rinse, nothing comes out. I think our biggest fear is this strange over production of mucus at times and also the fact that a pathogenic haemophilus occupies her nose. You recommended baby shampoo in one of your articles and I also looked it up on other sites. Should we give it a shot? Also, would rinse with probiotics be safe to do? I found this site called lactobacto.com and this lady claims that she cured her and her family’s sinusitis with kimchy juice (lactobacillus sakei) There’s also people using regular probiotics capsules in their rinse. I also want to tell you that we do work with naturopathic doctor and it is absolutely amazing to hear advice like that from a doctor. It only says how thoughtful person you have to be. Please note that I suggest considering the addition of baby shampoo to nasal saline rinse only in conditions of chronic sinusitis, especially when everything else has failed. In those cases, I am suspicious of a possible role for biofilm-forming bacterial infection: the baby shampoo acts as a “surfactant,” helping to remove the bacteria-protecting biofilm, and allowing the saline rinse to do its job. Copious clear mucus can be a sign of allergic rhinitis, usually not a sign of infection. If that is the issue for your daughter, saline rinses can be very beneficial to rinse away allergens and other environmental irritants. Thanks so much for you kind comments, and best success. Last month, my 2 year old son has been coughing (croup) a lot with a severely blocked nose which was treated with oral steroid and then abtibiotic. When he started coughing this month, by the grace of The Almighty, I stumbled upon your blog during my internet search to help him. After one day of nasal rinse, he has not been coughing much. This is his 4th day of nasal rinse now. He still coughs once in a while and his nose is still blocked. But not as much as before. Thank you ever so much for your efforts in writing this blog and sharing your wealth of information with other parents like me who are not so knowledgeable in the medical field. Below is a question regarding my daughter. I will be grateful for any insights regarding this. I also started nasal wash for my 5.5 year old daughter when she had a cold and blocked nose. Previously she has had nasal polyps etc, so I thought this will help. She is very prone to ear aches and she has a lot of wax in there. This is normally helped with garlic infused olive oil. After the second day of 2 rinses per day, she was crying due to ear pain on the left ear. She seems ok after I put a few drops of warm olive oil in her ear. I did read somewhere that this can happen due to pressure in ears. I was using neilmed bottle. Now I have ordered nasopure after reading your blog. But please advice if I should continue nasal wash with my daughter. Thought that might help someone with the same problem as mine. Once again thank you for all the info on this website. Yes, Dr. Hanna is the best!! So glad to hear that rinses are helping your son. Thank you so much for visiting, for sharing, and for your kind comments. Please keep me updated. I am so glad I came across your wonderful blog. My son has been suffering from swollen nostrils both noses for 4 years now, he is 10 years. I have tried everything like nasal wash, nasal spray and allergy med everyday but he is still suffering. He has been tested for allergy and appears he is allergic to most trees and plants. I need help pleaseeeeeeee. What do I do next? I can hear your frustration and worry. Unfortunately, I can’t provide medical advice without seeing him as my patient. My best advice is to find a worthy physician who can take time to explore ALL of the factors affecting your son’s issues. I’m so sorry that I can’t help over the internet. I have a 3 month old baby that has had sinus issues since birth. His first couple of weeks home we took him to his pediatrician several times complaining he was having difficulty breathing & yellow drainage from his eyes. You could look in his nose & see it was packed with thick mucus. The pediatrician flushed out large amounts of mucus & sent a referral to an ENT specialist. She recommended we continue the saline flushes which we did several times a day to help his breathing. During our initial visit with the ENT he examined my son and said he had excessive amounts of extremely thick mucus. He took a culture that came back positive for staph infection. My son was put on his first run of antibiotics. They helped at first but several days after we completed them his issues were back. A month later we saw the ENT again & was put on more antibiotics & discussed taking his adenoids out. The antibiotics had the same results. We just went back last week & his surgery was scheduled. The ENT did another culture that came back positive for the flu. He is now on antibiotics for that. We continue to constantly flush him out to help him breathe. The ENT said he rarely recommends doing surgery on an infant this young but feels it is necessary since the flushes and antibiotics are only temporarily working and my son continues to grow different types of bacteria. Do you have any thoughts? Thank you so much for visiting, and for sharing. I would greatly appreciate your advise. My 10 year old son has seen many doctors and no one knows what is wrong. He has a chronic cough made worse by exercise. The more intense the exercise the worse the cough. Asthma meds are not working. He has allergies to dust mite and grass and Im sure more. He has had sneezing and a blocked nose for over a year although worse in the spring and went away completely when we went to America. He has copious amounts of saliva and seems to sweat more these days. His breath is aweful despite good dental hygiene and his back of his tongue is yellow. We do the sinus rinse twice a day started about 3 weeks ago but haven’t noticed a benefit yet. He’s on anti histamine tabldts and steroid nasal spray. His nose is very inflamed. The nasal rinse brings out clear mucus each time. Any ideas what we can do to help him. Hes a very talented swimmer and currently due to this cough he cant train which is so upsetting for him as this is everything to him. Oral steroids have reduced the cough but not gone completely and as soo as stopped the tablets the cough worsens. Let me start by saying that I’m sorry I won’t be able to specifically help your son. It’s just not possible to give detailed medical advice at a distance without knowing his detailed medical history and without performing a thorough physical exam and examining his medical records including test results. It does sound like he may have “cough-equivalent asthma.” What he most certainly has can be called “chronic airway inflammatory disease,” meaning that the lining of his entire airway is super-sensitive. Glad to hear that he is trying saline nasal rinses. The benefit is that it doesn’t matter what the source of his nasal irritation is (virus, bacteria, mold spore, environmental pollutant, dust, etc. ), the saline rinses will wash it away. The other consideration, especially since you mention bad breath, is the possibility of enlarged adenoid tissue. Adenoids are tonsil-like tissue located in the very back of the nose, against the back of the throat. The nooks and crannies of adenoids can collect some nasty bacteria, causing chronic bad breath, and chronic nasal congestion and rhinitis. Worse, they can act as a reservoir for biofilm-forming bacteria that can be the source of recurrent sinusitis, or trigger asthma exacerbations, or cause very difficult-to-treat asthma. I’m not sure, because you don’t mention a history of any surgery. If your son snores in addition to all the symptoms that you mention, you may consider having him evaluated by an ENT doc for possible adeno-tonsillectomy: removal of both adenoids and tonsils. I am not generally “surgery-happy,” but for children with chronic airway inflammation ailments, removal of those sources of bacteria and chronic inflammation can make a huge difference in their lives. If that surgery is a consideration, note that it becomes increasingly painful beginning at about age 10 or 12. In fact, as an adult, I would rather have a kidney removed that undergo a tonsillectomy. I have no idea why it is much better tolerated by children. I hope at least some of this is helpful. Thanks so much for connecting here, and please do keep me updated. Best success. Currently we live in Columbia, SC, which is prone to mold issues due to high humidity. We have lived in a rental house built in 1976 for a year and my husband our 5 children have been sick on and off with pneumonia, headaches, fevers and clogged ears. My 3 year old now seems to have obstructive sleep apnea and has had a snore for the past 3 weeks she has never had. I have noticed black mold on the outside of the air vents, I was wondering if mold exposure can cause issues like this and how to treat these ailments? I am the only one who does get sick, and I receive the least amount of exposure to the indoor air, due to me being at nursing school or clinical 7 days a week. Dr. Faust, can you please advise? Chronic sore throats can be caused by many things, including allergies with post-nasal drainage; allergies with direct throat irritation; reflux; environmental irritants or pollutants; reflux again. Sounds like a good reason to see a head-and-neck / ENT specialist. If your 3-yr old continues to snore, please have them checked out. Snoring in children is a sign of struggling to breathe through a too-narrow airway. A snoring child who also becomes very sweaty or wets the bed (beyond what would be considered a normal age for that) is suspicious for dropping oxygen levels: dropping oxygen levels causes autonomic responses including sweating and potentially enuresis. Best success in Columbia, and in nursing school. I have been suffering terrible sinustitus for virtually my whole life. Allergy tests reveal that I am indeed quite allergic. My chronic sinus infection had the terrible side effect of making my eyes and conjuctiva red and unbearably sore light and movement sensitive with blurred vision. The only drop that had ever had any moderate effect stopped working a year or so ago and this was very detrimental to my quality of life so after spending a fortune to no avail at various opthamologists and other doctors I realised that they were completely blind to the fact that my sinus and eye issues were most likely interconnected. I started doing some research which took me from the possibility of dry eye syndrome to blepharitus to seborreic dermititus and so on but nothing seemed to provide an answer. I then started saline rinses and had moderate relief after I had punctal plugs fitted. However the underlying inflamation was still there and I had frequent flare ups. I recently stumbled accross some information on how many resistant bacterialogical and fungal infections were due to bacterial/ fungal biofilm and how using agents like Xylitol appeared to be very effective at combating the biofilm. I incorporated it into my twice daily saline mix and added honey and colloidal silver for good measure. After the first rinse I could already feel a marked effect. Now after only 3 days I can say that for the first time this year I can actually breath through my nose! I can feel a marked decrease in inflamation and congestion probably around 80% better maybe more, my vision is restoring too. There is still a bit of yellow mucous in the morning and my eyes still look a bit bloodshot but I am hoping that in the next couple of weeks this will clear totally. After reading this maybe I should reduce the rinse to one daily and I am thinking about investigation an adenoidectomy because like the young patient you advised I really want to be rid of this forever. Twice daily saline rinses should not be a problem. Four times might be a bit much, irritating to the cilia. An adenoidectomy can be a great solution to chronic and recurrent sinusitis – eliminating a potential reservoir for microorganisms – but adenoid tissues usually shrinks by adulthood (not always). Definitely check with your doc, hopefully see a good boogor doc (ENT/Otolaryngologist). Thanks for visiting, sharing, and best success. Love your post. I am going to use the nasal rinse for my son. My question is will the nasal rinse help me. My mri and ct show right sided sinus opacification including the osteomeatal complex. Maxilary, ethmoid and frontal sinuses full and the doctors say it is fungal sinusitis. Will rinsing my nasal cavity help? Help? Only one way to find out. It helps many many people. Me included. My 28yr old son (haha…not really pedi) broke his nose in college in boxing and now has a deviated septum and has had nasal issues that radiated to his ear and jaw. He has issues with sinuses and migraines and sees a wellness chiropractor. He went to ENT and they told him that he needs sinus surgery because of the deviated septum. Could some of his issues be relieved with sinus rinses? I am thinking of telling him to try them prior to the surgery…..couldn’t hurt right?? My 5 year old son was diagnosed with Herpetic Gingivostomatitis in 2016. His symptoms include foul smelling breath, severe gum pain, swollen gums, headache, mouth ulcers, fever, chills, lethargy, stomach ache, pain behind both eyes, inability to concentrate and irritability. He was having outbreaks monthly then became sick for two consecutive months. His Pediatrician suggested that the stomatitis outbreaks are being triggered by allergies and inclement weather. My son has taken the antiviral Acyclovir twice. With the first dose he did well. However with the second dose of Acyclovir, his gums have continued to hurt with some relief from Allergy medication. Initially Allergy medication at night was sufficient but now he is in need of Allergy medicine in the morning and evening for gum pain (possibly due to allergies). He continues to have Stomatitis outbreaks with severe gum pain (gum pain reduced with Tylenol or Motrin). Prior to the stomatitis he was having several sinus and ear infections. When he got a cold it went directly into a sinus infection. As an infant he was on medication for acid reflux. He does tend to breathe through his nose especially at night and is constantly rubbing his nose. We have appointments with Pediatric Infectious Disease Dr. and Pediatric Allergist at Children’s hospital. Any advise on the gum pain possibly due to allergies? Thank you! Wow, this is a new one for me. Have NOT see what you describe simply from allergies. PLEASE, please leave a comment and keep me updated on what the Peds ID and Allergist have to say. Hi! I didn’t read all the questions, but my girl has chronic sinus issues and strep g in culture. We are doing Neil med sinus wasn everyday, and that helps, but now they want us to mix mupurican with a saline spray two times a day. I am thinking it’s not really gonna do much and she is so stuffy it drips out. They also want to put her on oral steroids, which I am not stoked about. I used Manuka to treat her strep in her throat, and that is clear now, but it’s still in sinus. Is it safe to use Manuka in sinus wash? Or maybe Collidal silver? I was using the silver in the washes before. Anything that you add to the nasal saline rinses will “drip out.” That doesn’t mean it won’t do any good – even short contact with those additives can be beneficial. Mupirocin is bacteriocidal for staph infections. If your docs have recommended that, not much to lose. Yes, as long as your daughter is not allergic to Manuka honey, Manuka is a great, natural microbicide. In fact, I was able to ‘cure’ my own chronic sinusitis only after adding Manuka to my nasal saline rinses. I have tried colloidal silver, didn’t notice any improvement.